Special Needs Planning involves so much more than just Financial and Legal planning. The FIVE areas of a Comprehensive Special Needs Plan are complex and involve many moving pieces. Because your plan should be tailored to your child’s unique abilities and needs, it should truly be a one of a kind plan. No ‘cookie cutter’ approach to planning will fully prepare your family for the uniqueness of your child and situation. 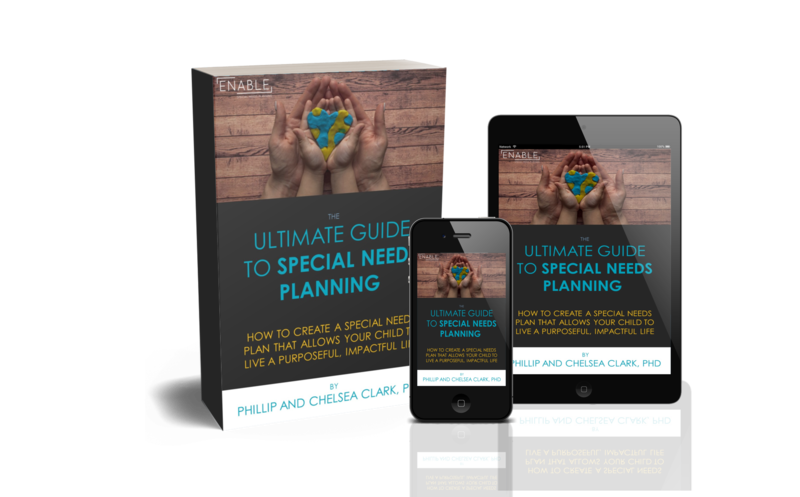 Additionally, Special Needs Planning often evokes many thoughts, emotions, and feelings that can stall your planning process to the point where you never achieve full peace of mind that comes from knowing that your child’s future is well planned for. Overwhelmed with the amount of decisions that you know you need to make to effectively plan for your child’s future. Frustrated with the overabundance of information that exists and often presents conflicting ideas, recommendations, and approaches. Confused as to where to begin the huge endeavor of planning for your child’s unique goals, dreams, and challenges. These emotions often coexist in a viscous cycle that paralyze the individuals trying to plan and prevent them from making any decisions. This can result in families failing to create any plan at all. How Do We Overcome These Emotions? So how can we overcome these paralyzing emotions? How do we get out of the viscous cycle that often stalls our planning process? I have found that there is ONE key way to overcome these emotions, so you can complete a Comprehensive Special Needs Plan for your child. Just as I encourage my clients, I also want to encourage you to THINK DIFFERENTLY about the planning process. Unfortunately, there are always going to be people who want you to stay focused on a diagnosis, a disability, and other limitations. But I believe our thoughts and our mindset are paramount when it comes to planning. What would happen if you changed the way you thought and began solely focusing on your child’s abilities, hopes and dreams? I’ve witnessed firsthand with my family, and other families I serve, that the entire Special Needs Planning process changes dramatically due to this single shift in mindset. Now, don’t get me wrong, shifting to an ABILITY-focused mindset, where you think ABUNDANTLY about your child’s potential, isn’t a magic formula that will suddenly eliminate all the overwhelming, frustrating, and confusing feelings that you may be experiencing. What it will do, however, is give you the motivation you need to continue pushing forward with your planning process when the number of decisions you have to make feels overwhelming, the conflicting information you discover leaves you frustrated, and the uniqueness of your situation causes confusion. Your ability-focused mindset will propel you toward the finish line, despite these challenges! In order to see your child live a purposeful, impactful life – the life you’ve always dreamed of for him or her – you know you need a Comprehensive Special Needs Plan and you won’t let a flare up of negative emotions stall your progress! Can you see unlimited potential? Can you envision overcoming every potential obstacle? Can you view your child living a purposeful, impactful life? If you can, then, NOW – you’re ready to start planning! Previous postTake the Quiz: How Well Planned Are You?